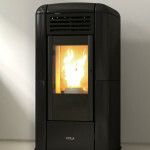 A pellet air stove can be used to heat just one room and is an ideal solution for spaces that are unsuitable for central heating, such as a conservatory, summerhouse or converted garage. 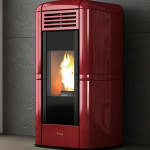 They can also be used to heat several rooms using a ductable model. 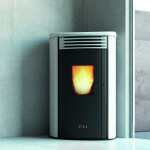 Heat is spread through convection which means the room is heated more evenly and efficiently using a fan. 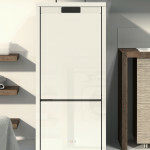 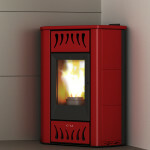 They can be turned on and off instantaneously, ignition is automatic and the temperature can be adjusted via the digital controls or by Wi-Fi remote control. 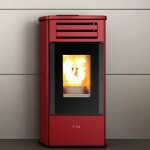 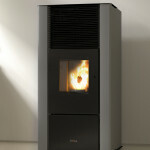 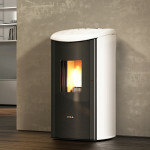 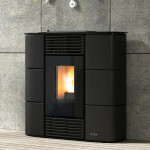 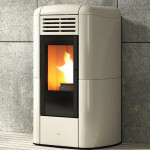 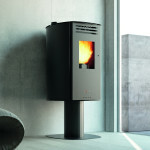 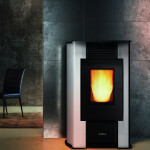 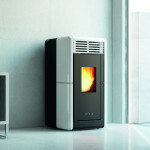 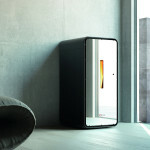 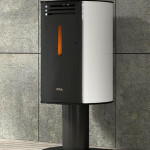 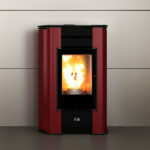 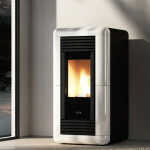 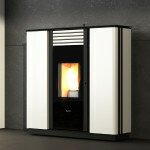 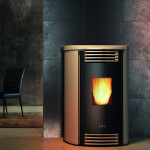 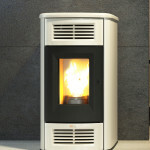 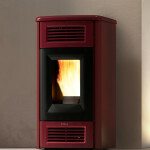 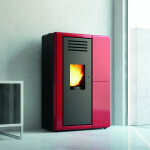 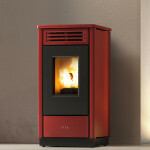 Pellet air stoves are powered by an electrical point and pellets are fed in automatically from the hopper. 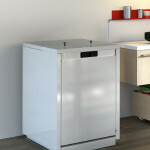 Refuelling is quick and easy – if running continuously refilling would be needed once a day, otherwise just once or twice a week would be sufficient. 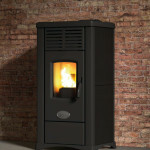 Pellets produce very little ash so the convenient pull-out ash pan only needs empting occasionally and an annual service keeps in it optimum working order. 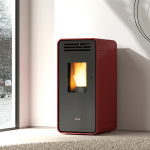 A pellet air stove is the most affordable option to buy and install because it is a standalone appliance that is separate to the existing heating system of the property.